Which rappers will you see this weekend? This weekend offers up three entirely hip-hop experiences, each of which are worth your time. Last seen in Spokane for the Inlander's own Volume festival, Seattle-based Brothers From Another (who also played the main stage at Sasquatch! this year) are back in town tonight to further show off their throwback beats and boy band dance moves as Terrain 9 headliners. The entire lineup for the free Spokane arts show, which starts at 5 pm and runs all night, includes Techtax, Powerbleeder, Local Pavlov, Griffey, Forest Fires and DJ JG. Check out our event preview right here. The dude has a generic name for sure, but his rap stylings are completely unforgettable. Tonight, the Detroit rapper comes through Spokane touting his recent record Atrocity Exhibition, one that's being lauded by every major music publication around. Openers for the all-ages 8:30 pm show include Mao Kream and Zelooperz. Cost is $20. Check out our preview story on Brown, one that argues he could be the best rapper around, right here. Warning: the above music video is ridiculously dirty. 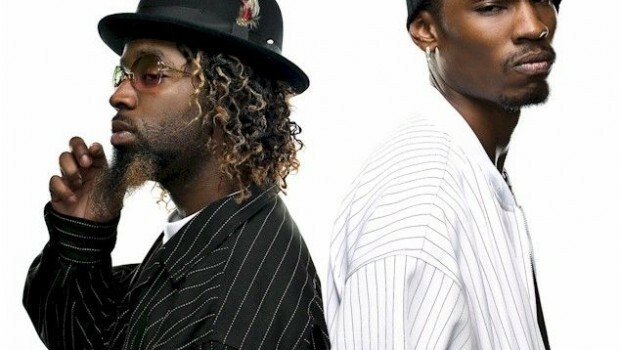 The I Love the ’90s Tour was just here, and with this Sunday’s Ying Yang Twins show at The Pin! you’ll get a taste of I Love the 2000s. Yes, the crunk duo straight out of Atlanta swing through Spokane again (they last played at Swaxx back in 2014) to prove they have what it takes to continue on in this business — their last studio record dropped in 2009. If the songs “Get Low,” “Whistle While You Twurk,” “Salt Shaker” or "Wait (The Whisper Song)," ever meant anything to your high school existence, this could be the throwback show you’ve been waiting for. The all-ages show starts at 8:30 pm and is $15.